Retail (or Merchandising to give the department the official name) is considered to be one of the 'medium' sized departments on park, at our core we're a small team of seven permanents with four of us running the units on park specifically. However, we're one of the larger recruiters of seasonal roles with over 120 members of staff joining us for each season. Obviously we're the department who sells you items to remember your visit by, but we also offer hot and cold drinks, snacks and of course the incredibly popular Pick & Mix. Each year we try to push ourselves harder, this year for instance we've put a real new eye to the products we offer. If you look you'll spot that most of the clothing has ride opening years on as a nod to the park history, we've increased the range of ride resins on offer to create a collection. Alongside this we've introduced a second limited run pin badge for THE SWARM to test the water of a range of ride based pins. It's something we have done in the past, but unfortunately the demand dropped off. We know it's on the radar from most of the park fans, and it is something we're actively looking into for the future. I'm sure by now most of you are aware of what's new, but there are a few hidden things for you to look out for! First and foremost, we've really pushed boundaries and have invested in new types of merchandise items which have unexpected extra features. Our range of hoodies with heat sensitive print (in Inferno Shop and SWARM Emergency Supplies), along with a Nemesis Inferno mug which has the same heat print on it are proving popular already. We've also re-invented our range of plush items, with a new look I <3 TP bear, and an entirely new dog bear instead of the traditional teddy style we've had for a few seasons. Visual changes are obviously the re-design of Amity Drop & Shop for the Angry Birds Land theme. 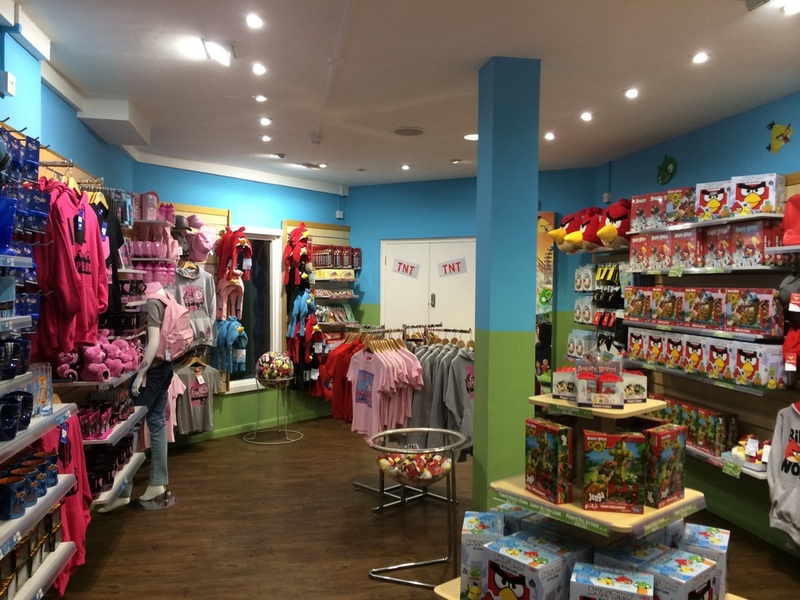 The shop will exclusively stock Angry Birds merchandise and confectionary along with a few yet-to-be-revealed surprises. Inferno Shop and Colossus shop have been reworked in-house by managers, we appreciate that going through a shop after a ride is a cliched joke about theme parks, so we've worked hard to make sure that they tie into the story more, to focus on the shop being an extension of the ride experience and not just an afterthought. There's also a few 'insider' nods, such as the posters in Inferno Shop all tying in to the fictional Calypso Quay Explorer's Club - famous in the area for discovering Mount Nemesis, their other memorabilia includes some vintage adverts for Club trips including an upcoming excursion to the Ranger's Outpost, which has been open for 25 years (not unlike a certain pack of safari suited animals), and take a closer look at the 'ash samples' on the top shelf by the fire doors as they feature nods to other famous volcanic eruptions and a familiar project name. We're always looking for the next big innovation, so who knows where we'll turn next! There'll certainly be a further increase on pushing our standards even higher than we have done before, something we're proud of over the last few years already. We love it when we see people mention the shops on social media or your forums as it means we've done our part in engaging people into the products and environments at the park! The high street teaches us a lot, so any trends that come in (for both product or display) will be considered and developed into the shops and ranges wherever we can fit it! The next big step for us is to start to phase out some of the older products which you've seen for years, and replace them with a more up to date, and most importantly, exciting items! Hopefully that gives you a bit more of a clue about how merchandising runs, we listen to feedback from fans quite a lot as we know you're likely to spot and engage with new items, so everything you say does get noted and we try to bear it in mind whilst making product decisions. How do you strike a balance between making merchandise that appeals to all, but also entices us geeks to really like them? The basis of all merchandise comes from the attraction or 'range' we're adding it to. For example in 2013 we worked with our buying team to create new ride resins for 2014, to do that we took photos of the ride vehicles and key theme elements such as the Tidal Wave splash and the product was evolved from that. This way we get a product which is clear and something that the every-day visitor will be able to relate to. As for the 'geeky details', a lot of the Retail team are passionate about the park and its history and we like to hide little facts like the opening years or even things like the 'Amity Speedway' motif on the Stealth clothing to add that extra depth to the items. It helps to make our offerings that bit more special and tailored to their environments. Most people will just see it as design detail, but nothing is there without a reason, and if the enthusiast community picks up on it too then we've done our jobs right! I've noticed with the changes to the Inferno Shop this year, that you've tried to carry on the ride theme into the shop, do you have plans to carry this on with future attractions? Inferno Shop getting it's Calypso Quay Explorer's Club overlay is very much testing out reception to a more integrated unit, it's a real interest for us, as we believe a themed environment will increase the ability to showcase tailored products and also give non-riders something extra to look at whilst they wait for their friends and family. With all new additions to the park which are going to receive a retail unit then we work alongside the project to ensure that the shop matches the theme. 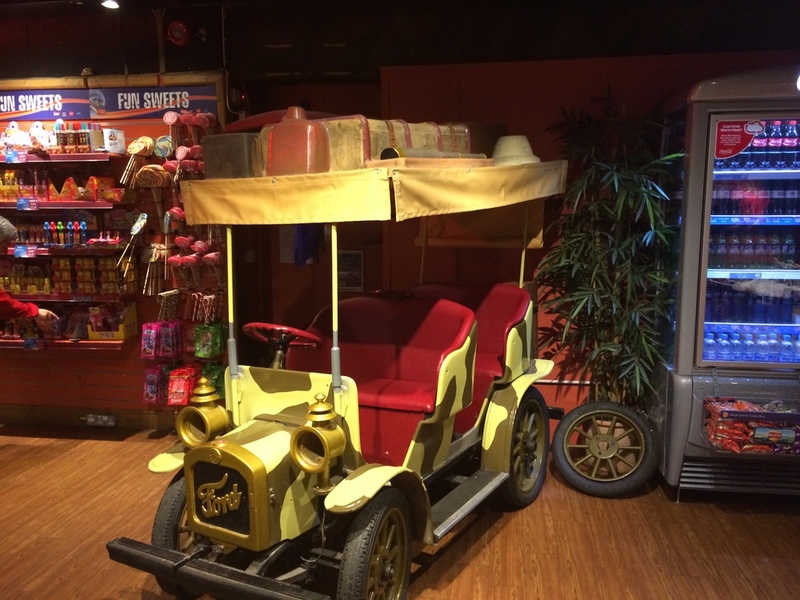 To ensure the shop feels right we work with rides, the new project team and Merlin Studios to get the right feel for both products we offer and atmosphere created by the retail space. 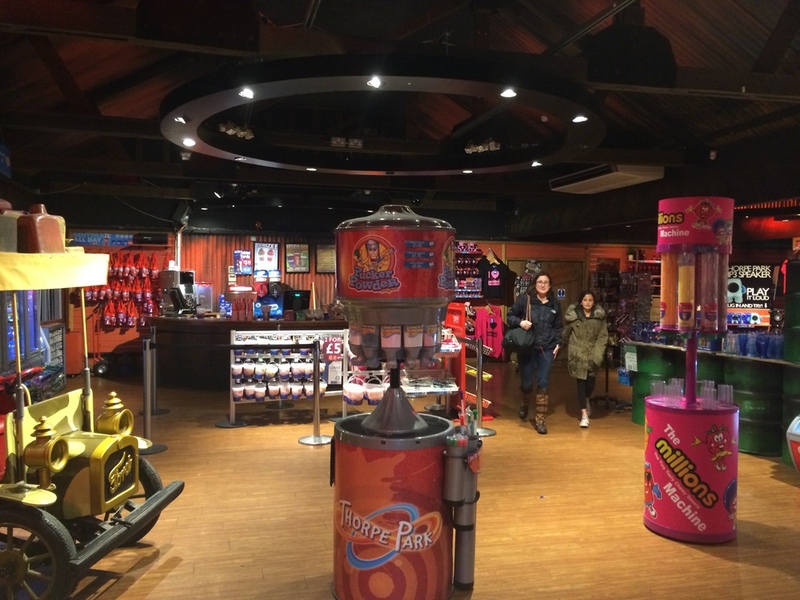 This will add to the current themed shops Saw Store, Swarm Emergency Supplies and the New Stealth Pit Stop Shop. Would you ever consider selling merchandise online? Sometimes I don't like to carry around t-shirts/photos etc when at the park and it'd be nice to be able to go home and pick something up online. We currently have no plans to open an online shop, we do offer a Buy Now, Collect Later service so that you can leave your purchases in Sweets and Souvenirs until the end of the day however. This is well worth using as it'll save you from worrying about damaging your items during your day. Photos also offer this service, collectable from the Dome Photo Unit. Would you consider building a much bigger retail space like Towers Trading as the 'mega store' doesn't really stock everything the park sells due to it not being that 'mega' in size? Whilst we'd love to have a larger unit on park, the limited space means that there's no where currently that can get a large new unit. However if the opportunity did come up to create a really impressive new iconic store then it's a project we'd certainly be up for! In the past its been suggested the park will release a CD with Ride music on - is this still in the pipeline? It's not currently in the works I'm afraid. It is something which we can pass on to our product development team to look into for future potential. The new resin models seem to be a hit, any plans to expand these? The current range covers all of our key attractions, with a 4th Swarm Billboard Resin now in store. We don't have any immediate plans to add more to it, but will be looking into ways to keep that range fresh as they're proving to be very popular with guests. 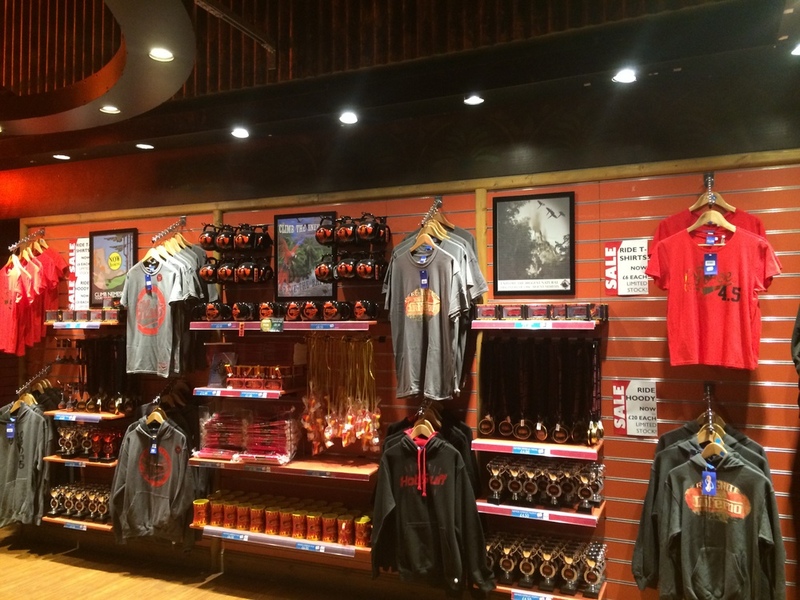 Have you noticed any change in guests habits in the Inferno shop since the changes you've made? A lot more people will wait for families inside the shop now, instead of sitting outside. There's also a good interest in the Cola Starslush as no other retail unit offers it on park, so it's a bit of a novelty when people find it. Kids are attracted to the Fungle Safari car, which gives parents a great photo opportunity, which helps to create the memories we were aiming for. Would you ever / have you ever considered bringing your drinks and snacking prices in line with 'normal' shops, rather than the captive audience level of pricing you currently go for? All of our pricing is made standard across the parks, and we do it through monitoring sales levels and finding the balance of product price through that. We offer great value for money deals throughout the season and constantly review our offers which include deals on chocolate, drinks and crisps. Not to mention our unlimited refill day quencher.